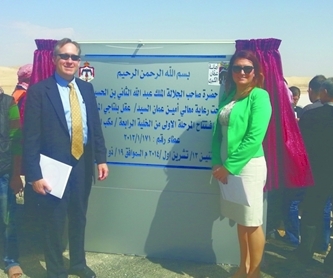 FAIRFAX, Va (April 2, 2015) – Gershman, Brickner & Bratton, Inc. (GBB) announced today that it is assisting the Greater Amman Municipality, Jordan (GAM) in their procurement of an operator for a 2,000 tons per day (TPD) municipal waste-to-energy processing facility. The U.S. Agency for International Development (USAID) is supporting GAM with this initiative, and GBB is assisting through a subcontract with Deloitte Consulting LLP, USAID’s implementing partner for the Jordan Energy Sector Capacity Building Activity (ESCB). Jordan’s Ministry of Energy and Mineral Resources (MEMR) initially issued a Request for Expressions of Interest (RFEI) in 2013 that resulted in responses from about 40 companies worldwide. The next step in the procurement process is the issuance of a Request for Proposal (RFP), which was issued on March 29. As part of the assignment, GBB has reviewed documents provided by GAM and MEMR; reviewed the responses received through the RFEI and identified potential eligible technologies. Working with the ESCB project and GAM staff, GBB developed an overall concept for the result-oriented tender process consistent with existing and required rules and regulations for such large-scale procurements; established the evaluation procedures; and assisted with the development of the tender documents. GBB will continue to work with the ESCB team to support GAM in a technical advisory role through the procurement process. GBB is an award-winning national solid waste management consulting firm founded in 1980, that helps public and private entities do better things with waste. GBB specializes in solid waste collection, processing, recycling, and disposal issues and assists in planning, procuring, and implementing sound, cost-effective facilities and services. For more information on GBB and its products and services, visit www.gbbinc.com, www.linkedin.com/company/gershman-brickner-&-bratton-inc., www.facebook.com/gbbinc, or call 703-573-5800.